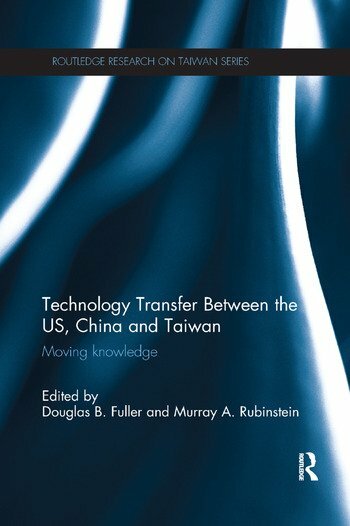 Examining the flow of technical knowledge between the US, Taiwan and Mainland China over the last sixty-five years, this book shows that the technical knowledge that has moved between these states is vast and varied. It includes the invention and production of industrial goods, as well as knowledge of the patterns of corporate organization and management. Indeed, this diversity is reflected in the process itself, which is driven both by returning expatriates with knowledge acquired overseas and by successful government intervention in acquiring technology from multinational firms. Technology Transfer Between the US, China and Taiwan engages with the evolving debates on the merits, importance and feasibility of technology transfer in the process of economic development globally, and uses the example of Taiwan to show that multinational corporations can indeed play a positive role in economic development. Further, it reveals the underlying tension between international cooperation and nationalism which inevitably accompanies international exchanges, as well as the delicate balancing act required between knowledge acquisition and dangerous levels of dependency, and the beneficial role of the US in East Asia’s technological development. With contributors from disciplines ranging from history, geography, urban planning, sociology, political science and electrical engineering, this multi-disciplinary book will be of great interest to students and scholars working across a broad range of subjects including Taiwan studies, Chinese studies, economics, business studies and development studies. Douglas B. Fuller is Senior Lecturer at King's College, UK. Murray A. Rubinstein is Senior Research Fellow at the Weatherhead East Asian Institute, USA.